In 5/6 B We have been learning about the Daily 5. So far we have learnt and practised Read to Self and Work on Writing. We are learning to be independent writers who practise writing everyday to improve. 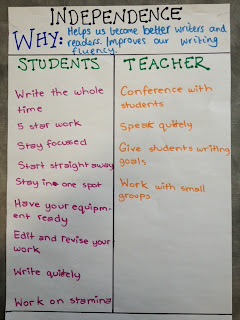 Today in Work on Writing we shared our ideas for writing topics. We came up with so many but we are certain there are plenty more! Can you add your writing topic ideas to our Wallwisher? Why is it important to become a better writer? What are some things you can do to become a better writer? I think it is important to become a better writer because you use writing in everyday life. There are so many opportunity that you can get by writing. Writing helps you with your reading, learning and spelling. If you didn’t know how to write you would not know how to do pretty much anything. I think to become a better writer you can always leave room for improvement, always look back and edit you work, write all different types of writing and make sure you ask for help or find out what to do when you’re writing. Becoming a better writer is important because it will help us alot.Because we need to write good to get a better future and better jobs. I think it is important to become a better writer because it will help you in the future, if you want to be an author or in any other job. If you didnt know how to write it will be really hard for you to find a job. If you are going to be a police and write fines and you dont know how to write it wouldn't be really good. Some things to become a better writer are writing poems,information reports,narratives and other types of writing more often. This is a great post but yet again it could be longer. I seem to think that this post is going to help me alot because evry time I dont have a topic to write I can jump on my computer and look at this post and I'm sure I will have an idea ofwhat to write about. It is important to become a better writter because when we do become a better writter we will be able to write a magnificent letter to a friend or a detailed e-mail to inform a client or work mate about something they need to do. If you don't even bother to become a better writte in school your life will become very complicated as you grow older. 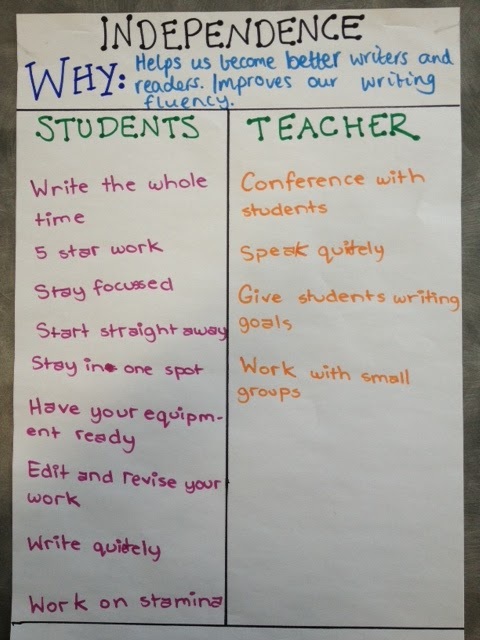 Some of the things you can do to become a better writter are listen to your teacher, have a go at new things, try your hardest at writting and try new text types. Miss Spink do you have any feedback for me so I become a better writter? Know we have 45 visitors on our blog. To become a better writer I will learn how to spell difficult words and work on my hand writing. Why is it important to become a better writer because it could realy help you in the future. When are we going to learn how to make our own blog if we are aloud to at school. It is very nice of you to teach everyone how to become a better writer and it is very nice of you to let everyone know what we've been up to. I think it is important to be a better writer because you might need to use writing in the future or even need to understand what you're writing. I believe to become a better writer you should use the right punctuation and the correct spelling. this blog is getting better and better. 1. I added about 2 ideas they are fun and prehistoric people. It is important to become a better writter so your writting is more ineresting and so your writting is better in future with more discriptive words. Some things you can do to become a better writter is to practice writing descriptive words in scentences also to use the Show Not tell strategie,write in letter form and to use punctuation in the correct places. It is inportant to become a better writer because if we dont write we cant learn or read because reading involves writing. Some things you can use to become a better writter are, use punctuation and discrib our text type in discriptive language. How's it going? Miss all of you very much and I hope to see you all again soon. The new words I would add on the wall-wisher are probably, Dreams, School Camp and Wishes. The reason I believe it is very important to be a better writer is because it helps you with your vocabulary, spelling, imagination and most of all, making wonderful novels and books!!! Also when I mentioned School camp, I just want you to know that at Hume Anglican Grammar, the year sevens are going to Lake Dewar Lodge, again.... ..except this time, we will be doing more water sports for example, stand up paddle boarding, and lake races. We will be going on the 4th of March and returning on the 6th of March. What camp will you be going to? And how long will you be there for? P.S. For all grade sixes, I want you to appreciate this year like you've never done before, because this year is what comes between you, and high school. This year should be the most vivid year of your life and I really hope you make good friends and cherish every second from February the 31st to December the 21st. Always remember to believe in yourselves at the hardest times and don't let the strongest friendships closest to you fall apart. I think it's really importan to get better writer because it's helps student by using puctuation, stratgies and type text (example, using narritive, information report and persausive writing.